The Original Beach Party is back September 21-23rd in sunny Pensacola Beach, Florida for a third year. 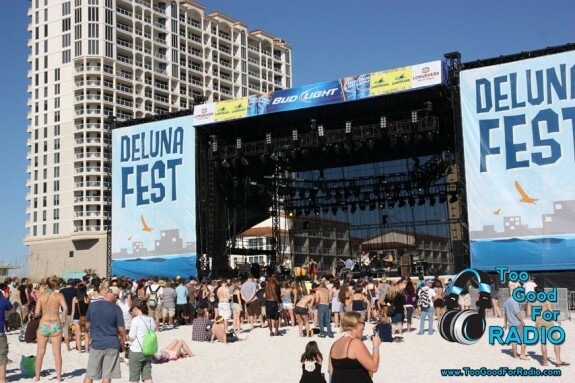 Check out our Deluna Fest video and picture review and ReMixtape of last year’s Weezer, The Shins, Matt and Kim headlined festival. If you are a 90’s alt rock fan, you’re going to love this year’s lineup that features Pearl Jam, Foo Fighters, Ben Folds Five, Guided By Voices, The Wallflowers, Superchuck and more. Dwight Yoakam, Joan Jett, Bad Brains, and DJ Jazzy Jeff of Will Smith fame round out the older crowd. I’m most looking forward to Florence + The Machine, Band of Horses, and third time appearance from Treme superstar Kermit Ruffins. More artists will be announced, hopefully of the rap and late night electronica variety.